Ruby on Rails: it sounds like a new cocktail, doesn’t it? In reality however, it’s a web application framework that is rapidly growing in popularity by providing a fun, elegant and compact way to build web applications. To put it in simple terms, Ruby on Rails, often abbreviated to just Rails, is a fun and compact way of building new web applications. It could be compared to a car model kit in that it provides you with a series of components that will allow you to build a dynamic and impressive website in much less time than you would normally need. Ruby on Rails | What is it? Generally, in the past, if a programmer wanted to produce a web application framework they would need to hand-write SQL queries in an effort to retrieve data. However, with Ruby on Rails, the process is simplified. There are a host of web development platforms out there – from Java to Perl and from Python to PHP. However, the use of Rails as a development tool is growing year on year because it provides a framework structure for all the code written by developers. It helps them build applications and websites because it is able to simplify repetitive tasks. Ruby is the programming language that is used alongside Rails, much in the same way that PHP is used with Zend or Symfony; and Python is used with Django. The language is both terse and elegant, which makes it highly appealing to developers. Perhaps the main philosophy behind Ruby on rails is the concept of convention triumphing over configuration. In summary, the idea is that the programmer will not have to spend long periods trying to configure files. Instead, Ruby on Rails is designed with a host of key conventions in mind that will help to speed up development. So what are the key characteristics in the emergence of Ruby on Rails? REST | One vital feature of Ruby on Rails is the RESTful application. REST, standing for Representational State Transfer, is software architecture that is built around a client and server relationship. Its premise is to encourage the establishment of a logical structure that can be easily used from the application programming interface (API). Agile Web Development | In terms of project management, Agile web development is generally preferred as it offers an iterative method which encourages both a flexible and collaborative approach. As such it is well-suited to the development of applications based on rapidly changing requirements. So what makes Ruby on Rails such an attractive proposition? Faster | Generally, the programming process will be much quicker than the bulk of languages and frameworks. This is largely because Ruby is so object-oriented and comes with a vast selection of open sourse code via the extensive Rails community. Transitions | It will be easier and faster for developers to switch between projects as, generally, each project using Ruby on Rails will follow some typical coding and structure practices. Rapid applications | Ruby is well-suited to RAD – also known as rapid application development – because the framework makes it simple to incorporate any necessary changes. Self-documenting | It is easy to read and document Ruby code, which will in turn lead to increased productivity. It will also reduce the need to produce separate documentation and this makes it easy for different developers to pick up projects that are already in process. In addition, Rails boasts an extensive testing procedure with good frameworks, while most of its libraries are open source. Website support | Not all hosts can support Rails as it is often more resource intensive, therefore limiting shared-host providers. However, do note that many Rails positive hosts do exist: including the likes of EngineYard and Heroku. Not widely used | While Ruby is growing, there is no denying that the likes of PHP and Java are more widely used and, as such, there are more developers focused in these areas. 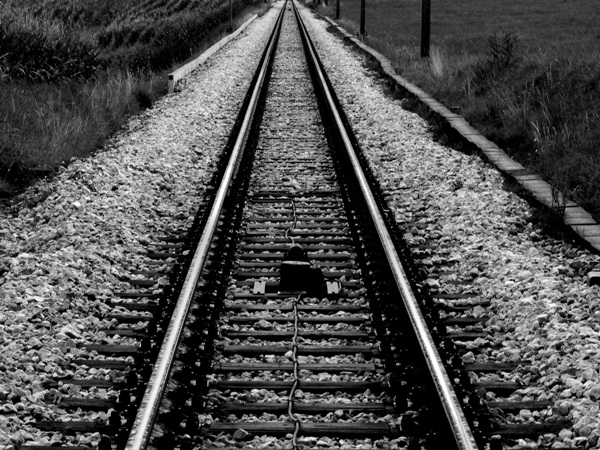 Scalability | There are some concerns that Rails applications may not be as fast as some of those associated with Java. Certainly this is true, but in the vast majority of cases its performance is more than fast enough. In fact the likes of Yellow Pages, Channel 5, AirBnB and Gov.uk are already using Rails to power their websites: so it’s hard to imagine there are any significant issues. So should you consider Ruby on rails? With such a host of high profile websites already incorporating Ruby on Rails, it’s clear that it works well in terms of enabling rapid development, especially if you want to produce a dynamic web application. Whether it is the right choice for you will depend on personal preference: but this is one web application framework that is rapidly building up steam.